We’ve been on Intel's case for years to tell us when its 10nm parts are coming to the mass market. Technically Intel already shipped its first 10nm processor, Cannon Lake, but this was low volume and limited to specific geographic markets. This time Intel is promising that its first volume consumer processor on 10nm will be Ice Lake. It should be noted that Intel hasn’t put a date on Ice Lake launching, but has promised 10nm on shelves by the end of 2019. 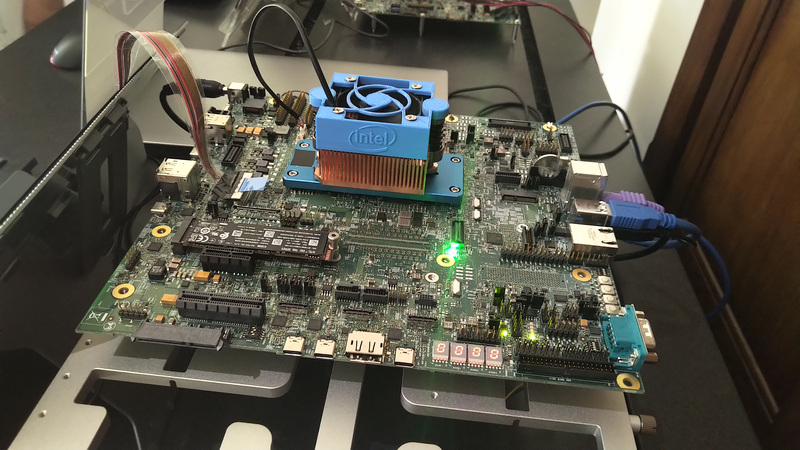 It has several products that could qualify for that, but Ice Lake is the likely suspect. 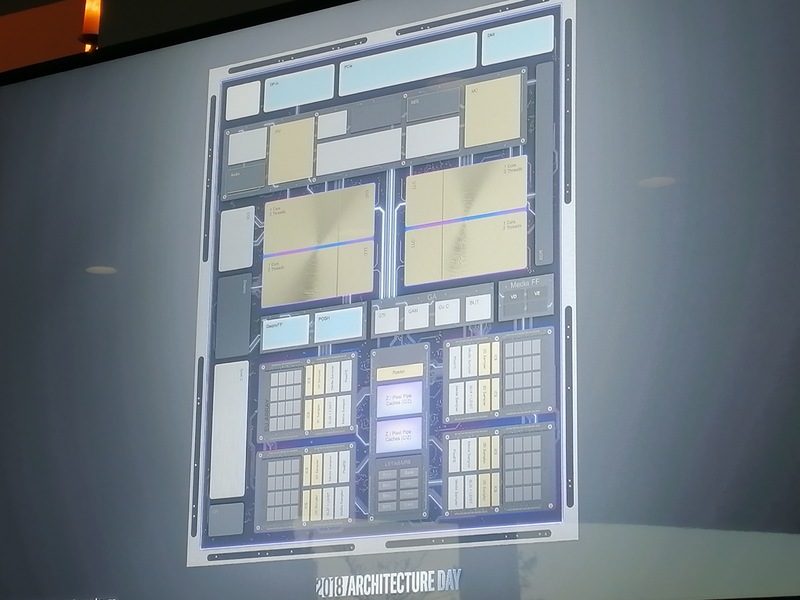 At Intel’s Architecture Day in December, we saw chips designated as ‘Ice Lake-U’, built for 15W TDPs with four cores using the new Sunny Cove microarchitecture and Gen11 graphics. Intel went into some details about this part, which we can share with you today. The 15W processor is a quad core part supporting two threads per core, and will have 64 EUs of Gen11 graphics. 64 EUs will be the standard ‘GT2’ mainstream configuration for this generation, up from 24 EUs today. In order to drive that many execution units, Intel stated that they need 50-60 GB/s of memory bandwidth, which will come from LPDDR4X memory. In order for those numbers to line up, they will need LPDDR4X-3200 at a minimum, which gives 51.2 GB/s. These processors will end up in the same kinds of designs that we see with quad-core 15W Whiskey Lake-U parts today, typically as part of product refreshes. But we could also see some new user experiences based on the chip given its increased performance. Intel also focused on two other areas with this new chip in its announcement: connectivity and battery life. For connectivity, the chips will support Wi-Fi 6 (802.11ax) if the laptop manufacturer uses the correct interface module, but the support for Wi-Fi 6 is in the chip. The processor also supports native Thunderbolt 3 over USB Type-C, marking the first Intel chip with native TB3 support. On battery life, Intel discussed how they had been working to optimize every area of a reference design to help OEMs get better longevity. This includes the special 1W display technology we saw back at Computex, but also separate items such as better optimized power modes. Some interfaces were changed too, to make the motherboard smaller, so that a larger battery could fit in. 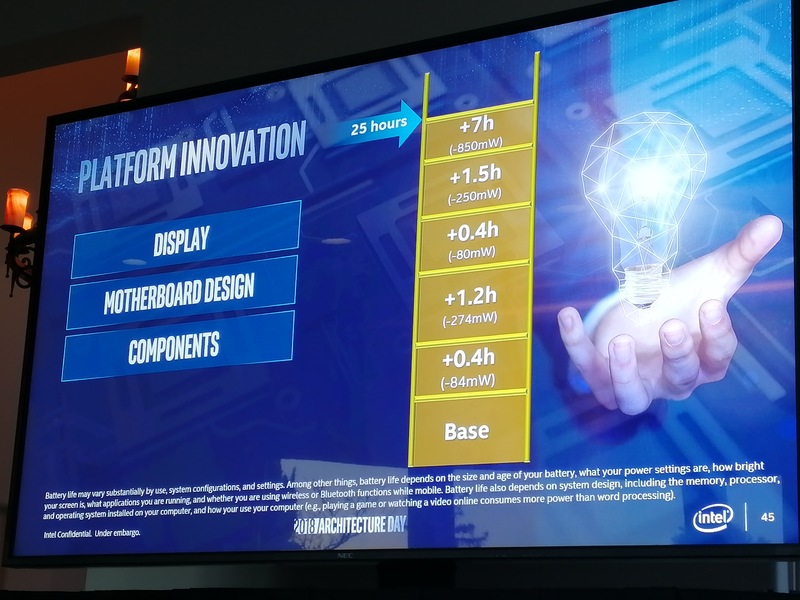 With an optimized design, Intel says that 25 hours of battery should be possible with Ice Lake-U. There is also extra improvements in the Image Processing Unit for performance and power. Security is important, and we expect this chip to match the in-hardware fixes for Spectre v2 and Meltdown (v3a) that the enterprise chips do. We expect to see systems with Ice Lake-U being announced, hopefully, by the end of 2019. Quick Bytes are shortened news pieces about topics mentioned at large press events. Because sometimes smaller announcements get buried at a keynote presentation because a dozen key points are mentioned in one article, and our Quick Bytes series separates out a few topics for targeted discussion. You can read the full article here.